Nordic-Baltic Translation Blog : How To Be Successful On Cross-Border E-Commerce In China? How To Be Successful On Cross-Border E-Commerce In China? China’s statistics seems to be more appealing everyday: the country now has 642 million Internet users, amongst which 360 million are online buyers. And the latter are more and more interested in foreign products, as these items are now available to consumers through cross-border distribution channels. If you wish your brand to integrate the Chinese market, here are a few pointers on how to make the most out of this cross-border development. 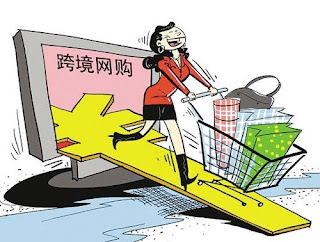 The Chinese clientele can purchase foreign products … on foreign e-commerce platforms. These usually have their limits regarding Chinese consumers, since they do not all offer payment and logistics solution which are suitable to them. However those who really want to appeal to this target will make extra efforts: have a Mandarin version of their website, use payment methods which Chinese consumers can use and propose an advance delivery system. These services can be expensive for small players: finding partners to deal with this matter is essential. Daigou services are widely used. These are like personal buyers: they will buy the product you are looking for directly in a country where prices are lower than in China and will send them to you afterwards. Even though you might not get a discount on retail price, the overall cost here is still lower than buying directly in China since import taxes are very high. Add that to the burden of logistics to China and of quality or security, and you will understand why this type of service will certainly not disappear soon. Besides, these Daigou usually get known by consumers through WeChat – an app used by everyone in China – and this proximity appeals greatly to the Chinese clientele. Since the creation of Free Trade Zone in China, companies which are established there benefit from better import procedures and taxes. Today there are approximately 5,000 platforms on the Chinese market and each has its own specifics: bulk purchase, social shopping, focus on small brands or on outlets… it is up to you to figure out which one suits you best. Once consumers know that your products come from the USA or Europe, quality is no longer an issue. On the other hand, what will be decisive for them is what they know about you. Indeed, they will make their choice according to three main things: other buyers’ experience, their relations’ recommendations (Word of Mouth, or WOM) and what they have read from reliable sources (in articles or on social media). Sharing quality content is therefore very important. Plus, since your products will be copied quickly after you enter the Chinese market, you better have a strong content strategy to support your sales, otherwise the latter will decrease fast. Information gets spread in two different ways in China: either you provide Internet users with quality content and they will simply share it without changing its format, or you do not provide them with one and your information will be changed or exaggerated. You should thus be careful with what is said online. However, since Mandarin is a tonal and contextual language it can be easy to come up with creative content to support your sales. If there are many social media in China, WeChat is the one we are interested in: it enables its 650 million users not only to send messages but also to follow their favourite brands, celebrities and experts. The latter are called KOLs (Key Opinion Leaders) and generally have around 300,000 fans. Celebrities’ fanbases sometimes go up to 20 million followers. Collaborating with KOLs will help you reach a large audience. Besides KOLs, the networks of individual users are also used in marketing strategies in China. It is what we call We Media and it encompasses any information people will share online (via blogs, social media, document sharing or video posting for example). Individuals are seen as opinion leaders in their own circle and can be an additional channel to relay your content. Finally, as we’ve said before, Daigou heavily use WeChat and are usually quite close to customers. They can give you a lot of insights on this clientele and also be a good way to spread the word about your products. The e-commerce environment in China is very different from what you could find in other countries. Most e-commerce platform offer the same products. If it does provide Chinese customers with a full experience of foreign products, the reasons for this uniformity lie elsewhere. First, these platforms usually do not get the approval from brands to sell full ranges of their products and therefore need to diversify their offer if they want their website to be attractive enough. Another thing is that some platforms ask foreign brands for exclusivity in order to integrate them in their website. You must understand the reasoning behind: even though these web firms want to welcome new brands, they are not willing to take any risk. Therefore they will only accept those brands they are sure are appealing to Chinese consumers, which is why it is crucial for you to work on your online image and to set a digital marketing strategy before even considering asking e-commerce platforms to feature your products. Since the Chinese web arena is complex to any outsider, collaborating with an agency will help you greatly. Why Is Internet Growth Slowing Down?